What A Motor Home Could Do For Your Vacations! "A Motor Home is an ideal way to travel for lots of people"
Imagine seeing the country in a nice, luxurious motorhome. You could cruise down the Interstate watching the scenery go by, and stop wherever you want for a comfortable nights rest. It is a home on wheels. Families - Sure, a family camping trip is a good experience for the kids. But, it's not always so much fun for the parents who have to do all the work. With a motorhome, you can enjoy all the wilderness has to offer, but it will take a big chunk of the work out of it for you. 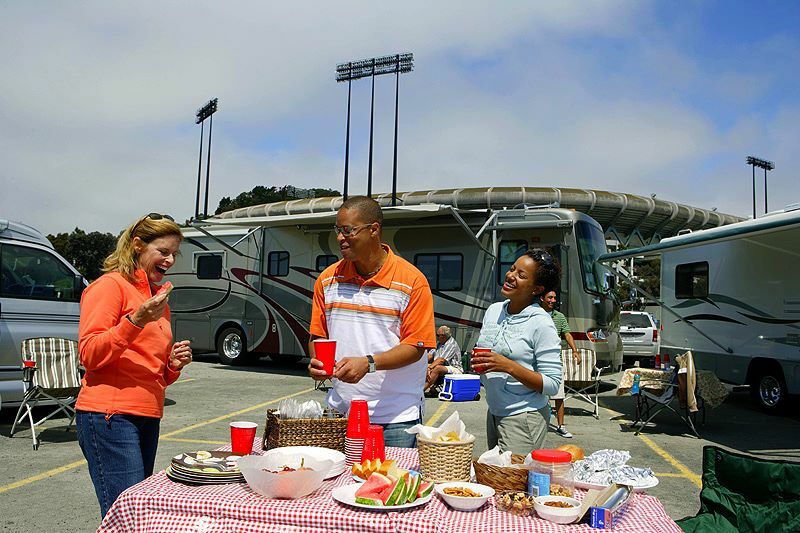 Plus, lots of motorhomes are fully equipped with all your creature comforts of home. This means the kids can still enjoy their video games and you can still get cozy with a good movie when all the outdoor activities are done. For a family motorhome, you want one that doesn't have a lot of set up involved. You want something that won't take time to get ready, so that you can park in your camping spot and let the kids start exploring. Seniors - As you get older, it's not so easy to set up that old tent. For seniors who just can't get enough of the open road, motorhomes provide a nice way to keep traveling. Seniors can have a feeling of safety in a motorhome. You can have everything you need right there for you. You can still get out and enjoy the wilderness, but when you're tired of tromping around in the woods, you want to get a good rest for the next adventure. There are lots of models designed purely for comfort, and these are the best choice for seniors. You want to make sure that all the appliances are easy to use, and the bedding is as comfy as it can be. This writer's own folks just finally broke down and bought a motor home after 60 years of more rugged camping. Like many other retirees out there, they now have all the time in the world to get to those out-of-the-way places they never had a chance to see before. Anybody - To be honest, you don't need to have a gaggle of kids or creaky old joints to enjoy traveling in a motorhome. Motorhomes give those of us who are used to the comforts of home the opportunity to hit the road with a little more style. Those who work out of the home can even live out of their motor homes, turning it into an office on wheels. There's a dream come true! If you work on the Internet, you can still stay connected. But, instead of a dirty city street full of giant skyscrapers, you can step outside your door and find a grove of pine trees and cool, crisp mountain air. What a motor home really means to me is freedom. Anybody, whether old or young, can get out there and see all the country has to offer. You can spend all the time you want out in the wilderness, without worrying about ants crawling into your sleeping bag. There are lots of types of motor homes to choose from. You can find anything you want, big or small, simple or complex. If a motorhome sounds like the way to travel for you, check out your local dealer. Or, even better, surf around the web. You can find sights with lots of models, including detailed photographs and specifications. Happy hunting! Author Resource: From luxurious motorhomes to 5th Wheels, travel trailers, and folding campers, Bankston Motorhomes﻿ , carries something for everyone! And we always do what we can to get you the absolute best deal! Search for your next motorhome or RV online or come by and visit with us at any of our five locations.